The word Zen comes from the Sanskrit word "dhyana" which means concentration and absorption. In other words, meditation. The central aspect of Zen practice is sitting meditation, or zazen. In zazen, we gradually train our minds to be more attentive and present. The mind also learns to function in a new way, to let go of old habits, ideas and views about the world, and to be fully present, letting everything be born again in each moment. Through the practice of zazen, we can break through our illusions and see reality as it truly is, beyond all concepts. 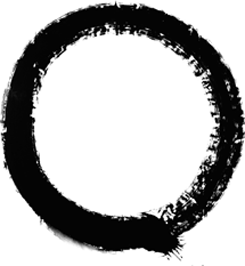 In Zen we say that everything is practice and that practice can be done in any situation, that you should not be stuck in, or cling to, the notion of zazen being the only way to practise. On the other hand, we should not fool ourselves into thinking that a strong sitting practice is not needed in Zen. But it is in our daily life that we bring the practice to fruition, through attending to each moment and being aware of our responsibility for the world and its inhabitants. The relationship between the teacher and the student is an essential element of Zen practice. The teacher guides students along the path using both one-on-one instruction (in Japanese, dokusan) and lectures given to the student group (in Japanese, teisho). Zen has always been influenced by, and adapted to, the culture and the circumstances of each new country in which it has appeared. Modern western Zen for example, has witnessed women coming to play a much more prominent role both as students and teachers than was possible in ancient Asian cultures. But the Zen that is practised here in the west also has deep roots in the Chinese and Japanese Zen traditions, and the essence of Zen is beyond both time and culture. 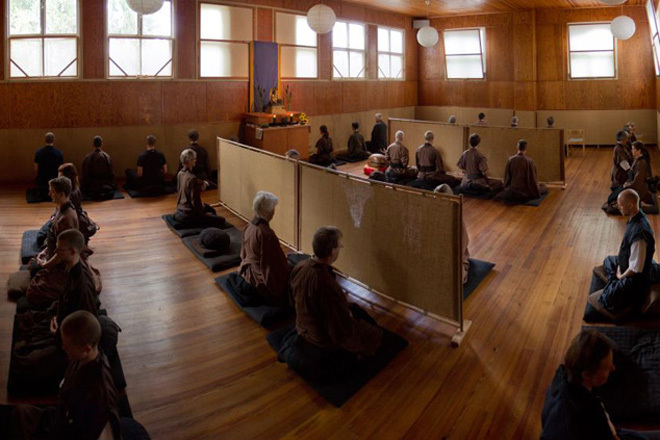 Sante Poromaa Roshi has been practising Zen since the early eighties, and teaching full time since 1998. He started practice as a student of Roshi Philip Kapleau, author of The Three Pillars of Zen, and he later became a student of Kapleau's successor, Roshi Bodhin Kjolhede. 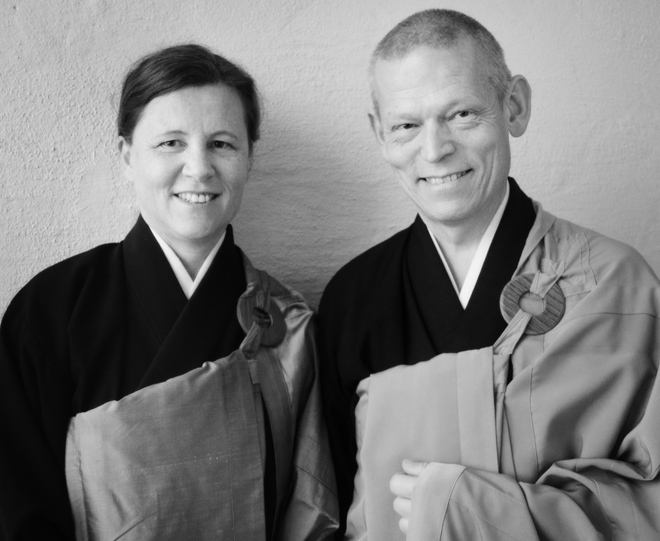 Kanja Odland Roshi started Zen training in 1984, as a student of both Roshi Kapleau and Roshi Kjolhede. She has been teaching full time since 2001. Both teachers have received formal permission to teach in this lineage, and their Zen teaching draws strongly on the Japanese tradition, but without slavish adherence to forms that may be inappropriate in a European context. Over the years, their style has evolved as they seek to ensure that the valuable practices of this ancient tradition are both preserved and made accessible and relevant to modern people. Their approach is above all an experiential one - the student is encouraged to explore the nature of reality first hand, through practice. Yet they also draw on the rich literature of Zen, including three major koan collections (The Mumonkan, The Blue Cliff Record, and the Book of Serenity), Buddhist sutras and the writings of the great Zen Masters. Both also read widely in other traditions and disciplines and their teishos (lectures given to students) can range over subjects as diverse as physics, consumerism, climate change and parenthood. They are both active in the contemporary intellectual and cultural life of Sweden, participating in public panel discussions and advisory groups. Both originally trained as artists, and Kanja Roshi maintains a particular interest in photography. Sante Roshi has published a book on the common ground between science and Buddhism, The Net of Indra. Philip Kapleau Roshi is well known as one of the teachers instrumental in bringing Zen practice to the west. He wrote many books,including The Three Pillars of Zen, the first book on Zen practice to be published in English. He founded the Rochester Zen Center in 1966 and he also taught in Sweden regularly from 1981. 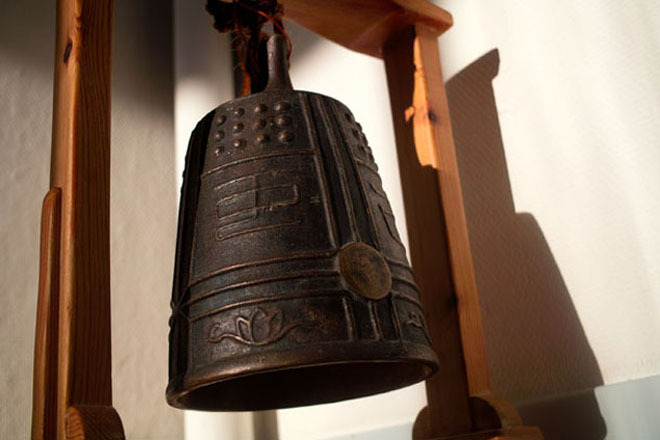 Zengården traces its origins back to the Zen group founded around those teaching visits. Today we are part of the Cloud-Water Sangha, the group of independent Zen Centers formed by Roshi Kapleau's successor, Bodhin Kjolhede Roshi. Roshi Kapleau trained in Japan, in the Harada-Yasutani lineage of Zen. The Harada-Yasutani lineage was founded in the 1950s by two prominent Zen teachers, Harada Daiun Sogaku Roshi and Haku'un Yasutani Roshi. Unlike many Japanese Zen masters at that time, both Harada Roshi and Yasutani Roshi felt it was important to make Zen practice more readily accessible to ordinary people with work and family commitments, and also to the many westerners who were arriving in Japan looking for authentic Zen practice. Philip Kapleau was one of the first westerners to become their student, from 1951. After 13 years of training in Japan, Kapleau returned to America and in 1965 was authorised by Yasutani Roshi to teach. He continued teaching and writing for over thirty years.